One of the most important steps in the grieving and healing process is gathering friends and family together to honor a loved one’s life. It's more than a way to say goodbye, it's an opportunity to celebrate the unique life of someone who was special to you. Today's life celebrations can be as unique as the individual who is being honored and can reflect any aspect of a person's life and personality. You may opt to hold a traditional, religious, or military service. Or you can choose to hold a more non-traditional life celebration in a location of your choosing. 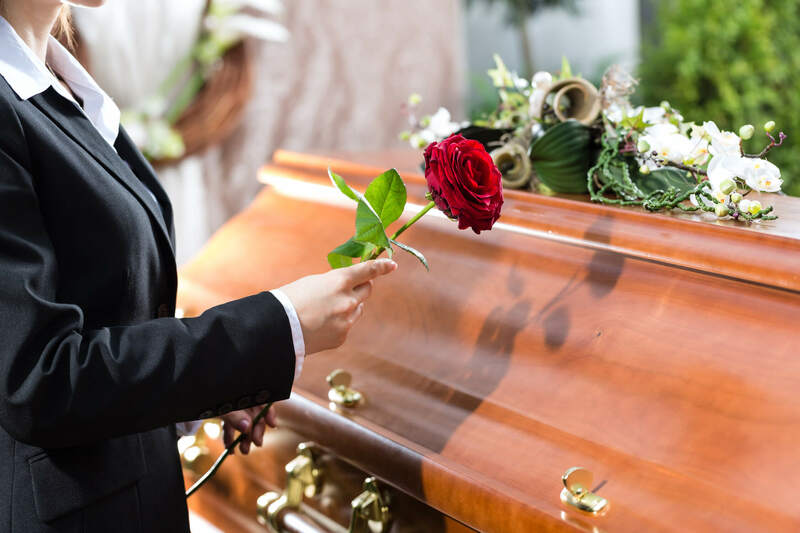 Once you've decided whether your loved one will be buried or cremated, your next step is to choose the type of memorial or funeral service that connects with family and friends in a very meaningful and personalized way. Typically, a funeral service is when the casket or urn is present. A memorial service is usually without a casket or urn present, and allows for disposition to take place either before or after the service. Whether you choose a funeral or memorial service, what's important is that the experience you create is personalized to the individual to create a uniquely memorable and enriching occasion that brings together family and friends. 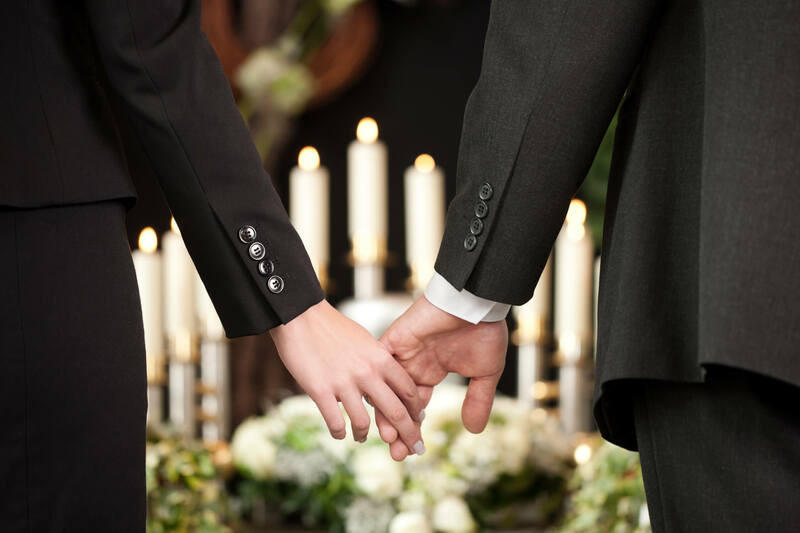 When planning your loved one's life celebration, there are many options available to you and we will help you through this process as easily as possible, ensuring that you're able to join with family and friends in grief, comfort, and love. 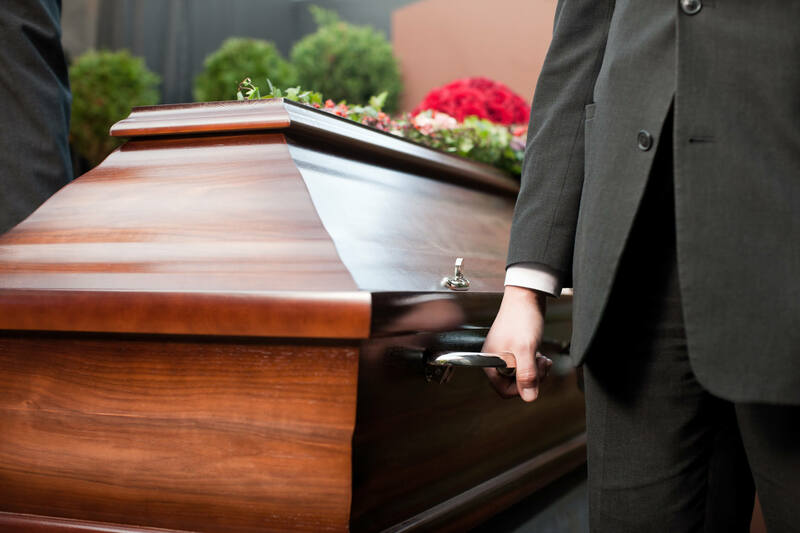 When you decide on a burial service it usually involves a visitation, followed by a funeral service in a church, memorial chapel, or other place of worship. It can also include a shorter graveside service at the cemetery where the casket is laid to rest. You can even decide on burial followed by a reception in a more relaxed setting, even in your family home. 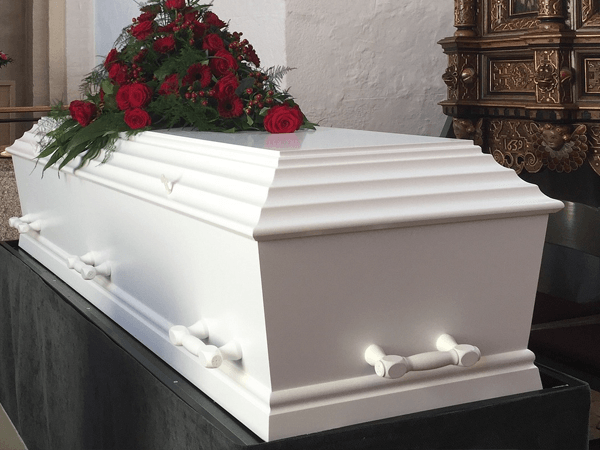 The casket is typically present in traditional services; however it is up you if you want to have it present, and if you do, you can decide whether you would like to have the casket open or closed throughout visitation and memorial services. After the service, you have the option to have the casket interred in one of the many cemeteries in our area. If you choose cremation for your loved one, there are endless possibilities on how you can honor your loved one's life with a visitation and funeral or memorial service to celebrate the life of this individual who was so important in your life. We will work with you to choose how you want to celebrate your loved one's life and how you want to distribute the cremains. You may want to spread the cremains as part of your service, inter the urn at a local cemetery or columbarium niche, or retain the urn as a keepsake. In addition, you may also choose to have personalized urns or other types of jewelry created from the cremains that can be given to members of the family as mementos. Just like a funeral service, a memorial service is a time to remember your loved one. This can be held shortly after your loved one's death or weeks later, with or without an urn present. What’s important is that it creates a time and a place for family and friends to gather together and support one another, share memories, and pay their respects. The memorial service can be held at our funeral home, at your home, or another location that you might choose. Including visitation hours prior to the funeral can be just as important for those who are grieving to meet and console each other in a more informal setting than at the funeral. Visitation can be held immediately before the service, or up to one or two days before the day of the service. Visitation hours can be limited to close friends and family, open to the public, or a combination of private and public hours. As part of the visitation, we can arrange a formal or informal ceremony based on your religious affiliation or specific traditions, or none at all. It's totally up to you. Our goal is to honor your loved one and helping friends and family beyond their grief into acceptance and healing. At Cooper Funeral Home, we'll help you select the options you want to make your loved one's celebration of life memorable. We'll guide you every step of the way to ensure that the process is as painless as possible during this very difficult time. In addition to your decision for burial or cremation, you'll choose the type of casket or urn that you would like for your loved one. There are also a variety of monuments and headstones to make your loved one's final resting place truly special. Click here to see specific options for burial or cremation.